There you are, on a casual walk with your dog. She sniffs some grass, turns around in circles and then pops a squat. It's poop time. You grab a bag and glance over to make sure you don't lose sight of the poop, only to find your dog awkwardly making direct eye contact with you as she's doing her business. She doesn't break eye contact the ENTIRE time. If you're a dog owner, chances are you've experienced this intense stare-down. And even though those puppy dog eyes can be super endearing and captivating, it's still ... weird. It's not like we humans are that irresistible to look at. A study in Hormones and Behavior in 2009 focused on the meaning of sustained eye contact between humans and their dogs in general, and found that the mutual gaze produces a physiological response very similar to mothers and infants. So, basically, if your dog makes prolonged eye contact with you, it could be because she thinks of you as her mom. Or, just like a child, she wants something. Madeline Friedman, dog behavior expert and trainer with Innovative Dog Training, says dogs might be hoping for a reward for doing their business outside (you know, instead of inside). When they're puppies, most dogs are rewarded for going outside, Friedman told The Dodo. "[But] most owners don't maintain the reinforcement when the dog is reliably house-trained, at least not as frequently," she said. "I think the dog remembers the reinforcement and hopes for more." Pooping Dogs ð©ð¶ on Instagram: "AWWWW LOOK AT THIS BEAUTY!! 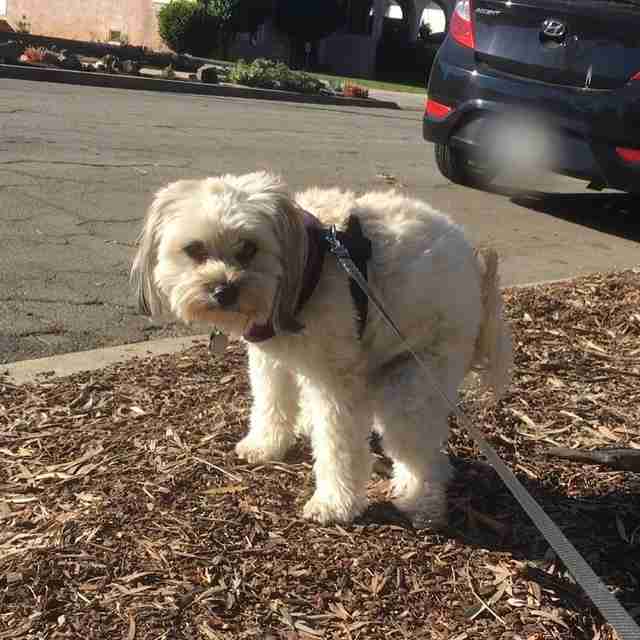 #poopingdogs #dog #cutedog #whyitpooping #ð© #ð¶"
The dog could also be looking for your blessing. "If a dog should stare at its owner when relieving itself, he is most likely checking for approval to be sure that he is using the correct location," Nick Jones, dog behaviorist and trainer with Alpha Dog Behaviour in London, told The Dodo. "Perhaps if an owner had previously scolded their dog for pooping in the wrong area, this could cause anxiety in the dog as a result." Another possibility is more instinctual. 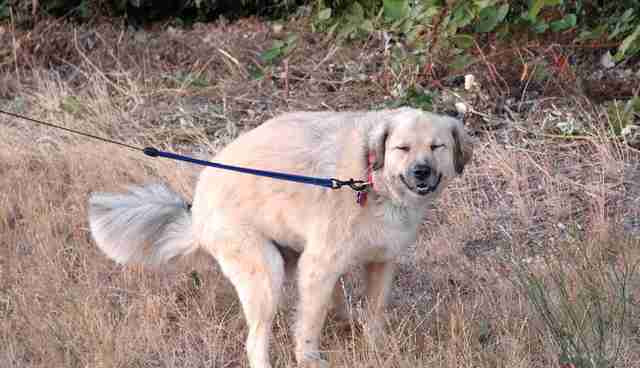 "The pooping position is a vulnerable position for dogs," Friedman said. "The feeling of being vulnerable is left over from their wild ancestor, the wolf, who still has to fend for himself in the wild. I think dogs are making sure we have their backs while they're in that vulnerable position for an extended period of time." While these all make a lot of sense, Dr. Sonja Olson, of BluePearl Veterinary Partners, says your dog might also be trying to communicate. "By making eye contact, your dog could be asking permission for something," Olson told The Dodo. "Or your dog could be asking for privacy. All this can vary according to breed, your relationship to the dog and other factors. Or maybe it's you that's initiating and holding the eye contact." Ah, good point. Perhaps we're watching our dogs and the location of their poop too closely. Maybe we just need to give them some space to do their business, and maybe that's why dogs always follow us to the bathroom. Payback?